Prime Minister Benjamin Netanyahu can reasonably contemplate another term in office, albeit with a fractious coalition, having dragged himself from the jaws of defeat in the final days of a difficult campaign. With the arithmetic still fluctuating in the early hours of the vote count late Tuesday and early Wednesday, there were coalition constellations that could have deprived him of another stint as prime minister, though they required extremely implausible alliances of ideologically disparate parties. 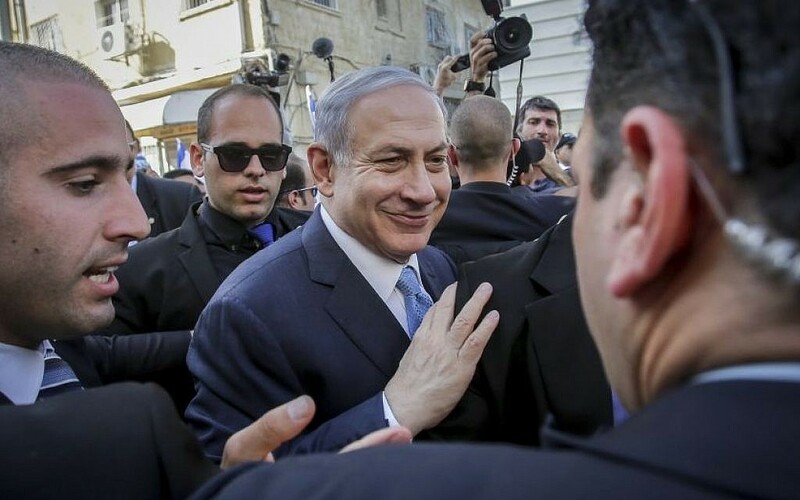 By dawn Wednesday, however, the TV exit polls had been discredited, Netanyahu had clearly scored a decisive victory, and it was near-certain that the next coalition will be led by Netanyahu and Likud and comprised of right-wing and Orthodox parties. That represents a remarkable turnaround. A victory “against all odds,” as he called it in his victory speech. Opinion surveys last week showed Netanyahu’s Likud trailing Isaac Herzog’s Zionist Union by four seats, with the momentum running firmly in Herzog’s favor. Long Israel’s peerless political operator, Netanyahu reversed that momentum, while Herzog failed to put up a sufficiently effective fight. 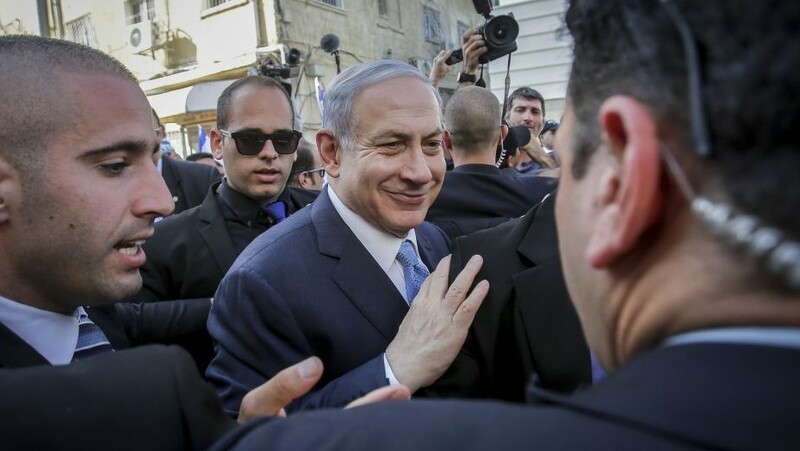 In the cause of his re-election — fighting what his delighted Likud ally Yuval Steinitz late Tuesday called “the entire world and its wife” — Netanyahu shifted drastically away from traditional strategy. Rather than seeking to bolster his share of the vote by reaching out to the center of the electorate, the Likud leader turned inward. He directed his appeals over the final few days of the campaign to the Israeli right, to his home territory. In the course of Monday and Tuesday, he escalated the anguished rhetoric and staked out increasingly hawkish positions. In fact, Joubran, himself a relentless critic of the archaic election day propaganda laws, also barred live broadcast of a planned Zionist Union press conference. Herzog and Livni quietly accepted the ruling. Netanyahu spoke anyway, and posted his remarks on his Facebook page. More dramatic and far-reaching than these gambits, however, was his statement, in an interview on Monday evening, that if re-elected he would not allow the establishment of a Palestinian state. This hardened stance — a step further than his previous, oft-expressed warnings that any territory relinquished to the Palestinians would inevitably fall into the hands of Islamist terror groups, and that Israel could not give up overall security control over the West Bank — marked the reversal of his previous agreement-in-principle to the two-state solution. Herzog vowed to retain a united Jerusalem and to extend sovereignty to the major West Bank settlement blocs in any permanent accord, but the Zionist Union leader also spoke of the imperative to dismantle isolated settlements, and said those settlements should not be funded further. He did not confidently predict progress toward an accord, and was wary about Palestinian Authority President Mahmoud Abbas’s positions, but he did vow to try to inject new life into a peace effort with the help of moderate Arab states. Netanyahu, by contrast, has now cornered himself with a stance that puts him on a collision course even with Israel’s closest international allies. Disgruntled though they may be, bitter that the prime minister’s last-minute tactics ate into their support, the leaders of those parties will almost certainly ultimately fall into line behind Benjamin Netanyahu. How long will such a coalition hold together? How effectively will it be able to govern? Those are critical questions for another day.